162 games, 100 wins, 851 runs, a record-setting 267 home runs, and all comes down to this. Yankees vs. Athletics. Winner advances to the ALDS against the Red Sox. Loser goes home. 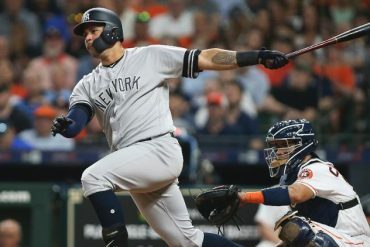 But since this is baseball, nothing is that simple – so with that being said, here’s an in-depth stats breakdown of the biggest game of the year for both teams. Since the one-game Wild Card was implemented in 2012, the home team is 5-7. Only two teams have advanced by scoring three runs or less. The 2015 Astros were one of them (they faced the Yankees). The Yankees have hosted two Wild Card games in the past three years (2015 and 2017). The only players to appear in both were Greg Bird, Didi Gregorius, and Brett Gardner. The Yankees have played the A’s six times this year – three times at home, and three on the road. They were 3-3 overall: 2-1 at home and 1-2 on the road. The A’s have averaged 5.5 runs per game against the Yankees this season, while the Yankees have averaged just 4.7 runs per game. The A’s also have the Yankees bested in average, as they’re hitting .246 against the Yanks – compared to the Yanks .229 average. 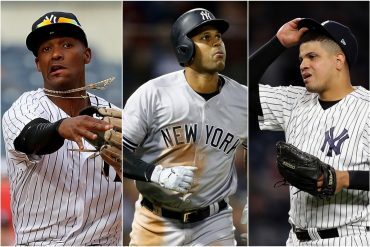 One stat category the Yankees have the A’s beat in for the season series is home runs – the Yankees have hit 10 while the A’s have hit eight. Speaking of home runs, Aaron Judge is one Yankee who has played well against the A’s this season. He has at least one RBI in each game he’s faced off against them. Fellow outfielder Aaron Hicks has at least one RBI in four of the six games he’s played against the A’s this season as well. 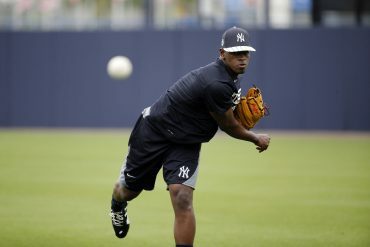 Luis Severino will take the mound for the Yanks. It’s been a tale of two halves for the young ace, as he was spectacular during the first half of the season but was among the league’s worst in the second half. Severino is statistically better at home. One player that has batted well against Severino is Jed Lowrie. Lowrie is 6 for 11 against Severino with 2 runs and 3 RBI. Lowrie has also faced Severino more than any other active player on the A’s – no one else on the A’s with more than 5 plate appearances against Severino has an average better than .250. Khris Davis, for example, is 1 for 10 against Severino with 1 double, 3 strikeouts, and a walk. For those who don’t know, this means that the A’s will not use a starting pitcher, but will rather use a handful of relievers to pitch their way through the game. The A’s have used Hendriks as “The Opener” eight times this season and the team is 4-4 as a result. 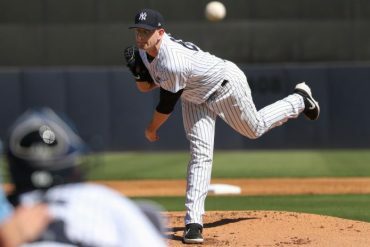 Hendriks even started against the Yankees in early September in a game the Yanks won 5-1. However, Hendriks did his job, pitching one inning of perfect baseball. It is almost impossible to tell who will pitch in this game and when for the A’s, but here is how Hendriks has fared against current Yankee players in his career (in 20 total plate appearances). Andrew McCutchen has faced him the most with 5 plate appearances, and he’s 2 for 5 with a double, a triple, a run, and 3 RBI. It’s easy to read into these numbers, but being that Hendriks will likely only pitch one inning, there are too many variables to consider. As we all know from last postseason, the Yankees like to play at home. The team was 53-28 at home this season, the 2nd-best record in the majors behind only the Red Sox. Aaron Judge is one player who performs far better at home – he leads the Yankees with a .352 batting average at home (compared to a .212 average on the road). He also has 18 home runs and 45 RBI at home compared to only 9 home runs and 22 RBI on the road. Didi Gregorius is another example of a guy who simply plays better at home. He leads the Yankees with 55 RBI at home, compared to just 31 on the road. He also has 19 home runs at home and only 8 on the road. 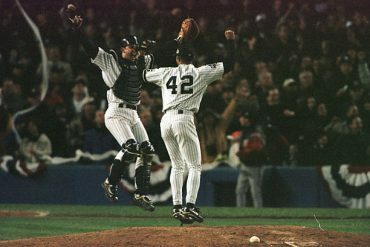 One last thing – the Yankees are 6-0 in their last six postseason games in the Bronx. 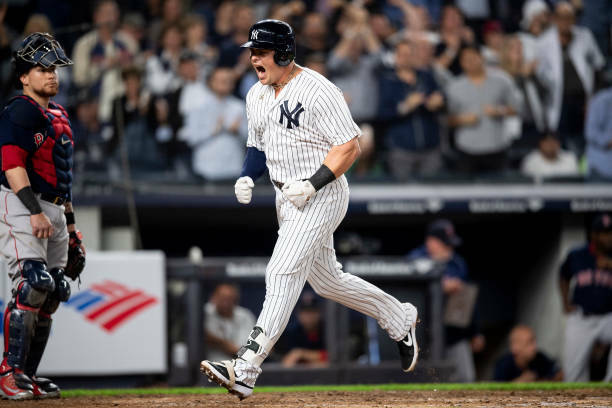 The Yankees roster is full of difference makers, but if there’s one guy I’m putting my money on to make a big impact in this game, it’s mid-season acquisition Luke Voit. Voit also recorded at least one hit in 18 of the 24 games, and registered at least one RBI in 14 of the 24 games. Everything you’ve read so far is a fact… so now it’s time for an opinion . My prediction for the game: Severino goes five strong, Voit homers at least once and the Yanks bullpen closes it out for a 6-3 victory. It’s going to be a fun one in the Bronx – but the only stat that matters at the end of the day is who gets the W. Let’s go Yanks! 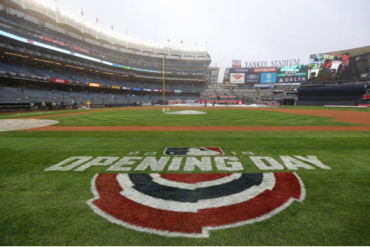 Also, check out the most recent episode of The Bronx Pinstripes Show. The guys broke-down all these numbers, including the rosters, matchups, and much more!